In Raja Yudhi? ?hira, Kevin McGrath brings his literary, ethnographic, and analytical knowledge of the Mahabharata to bear on the representation of kingship in the epic. 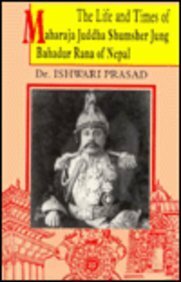 He shows how the Mahabharata depicts both archaic and classical models of kingly and premonetary polity and how the king becomes a ruler who is seen as ritually divine. McGrath then addresses the idea of heroic religion in antiquity and the present, for bronze-age heroes still receive great devotional worship in modern India and communities continue to clash at the sites that have beenâ€”for millenniaâ€”associated with these epic figures. One of the most important contributions of Raja Yudhi? ?hira is the revelation that neither of the contesting side of the royal Hastinapura clan triumphs in the end, for it is the Yadava band of K?? ?a that achieves real victory. That is, it is the matriline and not the patriline that secures ultimate success: it is the kinship group of K?? ?aâ€”the heroic figure who was to become the dominant Vai? ?ava icon of classical Indiaâ€”who benefits most from the terrible Bharata war. This book will appeal to scholars in the field of Mahabharata Studies as well as to students of early Hinduism and of late bronze-age cultural and political tradition. It will also be of interest to scholars of early Indian history, kinship, religious studies, and poetry. This book discusses the power of ordinary language philosophyâ€”a tradition inaugurated by Ludwig Wittgenstein and J. L. Austin, and extended by Stanley Cavellâ€”to transform literary studies. Toril Moi demonstrates this philosophyâ€™s unique ability to lay bare the connections between words and the world, dispel the notion of literature as a monolithic concept, and teach readers how to learn from a literary text. By using Wittgensteinâ€™s vision of language and theory, she considers theoryâ€™s desire for generality doomed to failure, and brings out the philosophical power of the particular case. Contrasting ordinary language philosophy with dominant strands of Saussurean and post-Saussurean thought, she highlights the formerâ€™s originality, critical power, and potential for creative use. Finally, she proposes an innovative view of texts as expression and action, and of reading as an act of acknowledgment. Revolution of the Ordinary goes beyond literary studies and appeals to anyone looking for a philosophically serious account of why words matter. How does an inquiry into life as it lives (or dies) amid mass violence look like from the perspective of the â€œsocialâ€�? Taking us from Sierra Leone to India to Lebanon, Life, Emergent challenges conventional understandings of biopolitics, and views the politics of life through the lens of life, not death. Yasmeen Arif focuses closely on biopoliticsâ€™ other pole: â€œmaking liveâ€�, by highlighting the various means and forms of life that are shaped in the aftermathâ€”or afterlivesâ€”of violent events, in the contexts of law, justice, community, and identity. Her analysis of the social repercussions of violence is both global and local in scope. This rigorously argued book brings together the various strands of both life and the social, and thereby frames a politics both of and in life. This book will be useful to post-graduate scholars and researchers in Sociology, Social Anthropology, Political Science and Theory, Philosophy, Social Theory, Cultural Studies, Urban Studies and International Law. It will also be of interest to organizations involved in formal humanitarian work in conflict areas. Nearly a century after his death, the image of Sai Baba, the serene old man with a white beard from Shirdi village in Maharashtra, is instantly recognizable to most South Asians (and many Westerners) as a guru for all faiths. During his lifetime Sai Baba accepted all followers who came to him, regardless of their religion, caste, or gender, and preached to them a path of spiritual enlightenment and mutual tolerance. These days, tens of thousands of Indians and foreigners make the pilgrimage to Shirdi each year, and Sai Baba temples have sprung up in unlikely places around the world, such as Munich, Seattle, and Austin. Tracing his rise from village guru to global phenomenon, Karline McLain uses a wide range of sourcesâ€”hagiographies and memoirs, songs and films, posters and photographs, temple rituals and sermons, fieldwork and interviewsâ€”to investigate the different ways that Sai Baba has been understood in South Asia and beyond and the reasons behind his popularity amongst Hindus in particular. Shining a spotlight on an incredibly forceful devotional movement that avoids fundamental politics and emphasizes unity, service, and peace, The Afterlife of Sai Baba is an entertainingâ€”and enlighteningâ€”look at one of South Asia's most popular spiritual gurus. This book will be of great interest to students and scholars of religious studies, media studies, anthropology and sociology. A Place for Utopia is firmly rooted in a South Asian context but links questions and discussions of its urbanism, religion, pasts and futures to a global milieu and history. The volume blends ethnographic, visual, and archival methods and uses various ideas of â€˜utopiaâ€™ for social science analysis that can productively open up new intellectual spaces, other histories, and urban policies. 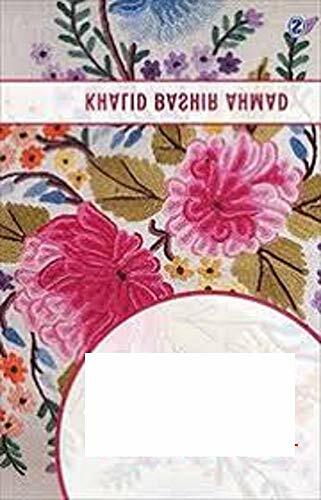 It moves across a hundred year period of South Asian modernity and its challenges from the early twentieth century to the early twenty-first century. Central to the designs for utopia in this book are the themes of gardens, children, spiritual topographies, death, and hope. From the vitalist urban plans of the Scottish polymath Patrick Geddes in India to the Theosophical Society in Madras and the ways in which it provided a context for a novel South Indian garden design; from the visual, textual and ritual designs of Californian Vedanta from the 1930s to the present to the spatial transformations associated with post-1990s highway and rapid transit systems in Bangalore that are shaping an emerging â€œIndian New Ageâ€� of religious and somatic self-styling, Srinivas tells the story of contrapuntal histories, the contiguity of lives, and resonances between utopian worlds that is generative of designs for cultural alternatives and futures. This book will be of considerable interest to students and scholars of urban studies, anthropology, religion, geography, sociology, philosophy, South Asian studies, design, history, and cultural studies. Affliction inaugurates a novel way of understanding the trajectories of health and disease in the context of poverty. Shifting the focus from the encounter between patient and practitioner within the space of the clinic, it privileges the networks of relations, institutions, and knowledge over which the experience of illness is dispersed. Based on a long period of immersion in low-income neighborhoods in Delhi, Veena Das asks who is the subject of illness? How do different kind of healers understand their own practice? Documenting the astonishing range of practitioners found in the local markets in the poor neighborhoods of Delhi the book interrogates how the magical and the technical are knotted together in the therapeutic experience of healers and patients. What is expert knowledge? And how can we retain an openness to different disciplinary orientations to health, disease, and poverty while also critiquing the practices of global health, state policies, and markets in health care? Affliction is the term Das gives to the experience of everyday forms of suffering that are routine and cruddy rather than spectacular and dramatic. Attentive to the way illness produces the braiding of care and violence, the book shows how illness is absorbed in everyday life even as it erodes it. Das demonstrates with great delicacy and tact the fragility of the real and the ordinary realism with which the poor navigate their milieu. This book will be of interest to anthropologists, sociologists, public health researchers, students of philosophy and literary theory. This book aims to showcase some of the recent developments in the areas of research in creativity and experience. The collection of essays embraces both theoretical and empirical approaches and tries to understand the complexity underlying creativity and its social, cultural and biological underpinnings. This volume attempts to locate feminism/s within historical and critical perspectives, and provides a broad framework within which to locate the possible politics of feminism. It traces the trajectory of feminism, from a movement for the rights of women to the possibility of an 'organic revolution', and from the renegotiations of the 'woman question' by early feminists and suffragists to the critical interventions of ecofeminists and lesbian feminism. The book is a collection of essays discussing the various aspects of sports in India. Apart from discussing the present status of the different sports and sporting formats, the essays also discuss the institutions attached to sports. At the same time, the essays also discuss the factors that make up the sport: the body cultures involved in various sports and corporeality in computer games. The book shows the strong sporting culture present in the Indian society through discussing the intimate relation between sports, literature and cinema, as depicted in books and movies like Harry Potter series and Iqbal respectively. This book will leave a mark on all, especially people interested in sports. This book examines the notion of â€˜hybridity â€™as a central figure in the intercultural discourse in post-structuralist and post-colonial theories . Here the concept of hybridity is used as a working term to analyse processes of creation and usages of hybrid languages in contemporary cultures. This book is designed to help students learn the basics of psychoanalytic theory and criticism as they have developed in the last hundred years and as they have been put to use in literary and cultural studies. It focuses on Freudâ€™s texts as the core and beginning of the discipline, while also pointing to the work of other psychoanalysts and literary and cultural theorists who have refined and developed Freudâ€™s formulations. The book shows a way to engage with psychoanalysis that is loyal to Freud and what has come since Freud in psychoanalytic thinking. Three Essays on the Mahabharata investigates what the Mahabharata and the Gita mean today, how that meaning has been constituted, and how it is exploited to fashion the practice of everyday Indian politics. 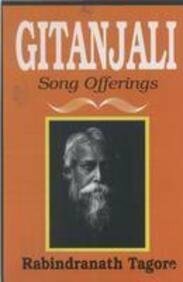 Treating these hallowed texts as â€˜pre-textsâ€™ to gain a more nuanced understanding of Indiaâ€™s colonial and pre-colonial discourses on the meaning of the Indian â€˜essenceâ€™, the author underscores that the forty-seventh verse of the second chapter of the Gita (Gita 2.47â€”ma phale?u kadacana) is now unanimously accepted as the kernel verse. By situating pre-modern commentaries on 2.47 with modern commentaries on and translations of the same, the author demonstrates that a series of conceptual shifts have accompanied the process of consecrating the verse to the highest rank. The ethical significance of the term An? ?amsaya (â€˜non-crueltyâ€™ / â€˜leniencyâ€™), which functions as a middle term between â€˜violenceâ€™ and â€˜non-violenceâ€™ in the Mahabharata, and the long shadow it casts on the question of ethical propriety in the domain of political practice. Rather than offering yet another alternative interpretation of either the Mahabharata or the Gita, this book looks at the subtle processes through which pre-modern categories are transformed by modern mediations, and how these provide for a retrospective analysis of texts composed centuries ago. This deeply interesting and unique work will be invaluable to students of cultural studies and philosophy. The essays in this book explore the critical possibilities that have been opened by Veena Dasâ€™s work. Taking off from her writing on pain as a call for acknowledgment, several essays explore how social sciences render pain, suffering, and the claims of the other as part of an ethics of responsibility. They search for disciplinary resources to contest the implicit division between those whose pain receives attention and those whose pain is seen as out of sync with the times and hence written out of the historical record. Another theme is the co-constitution of the event and the everyday, especially in the context of violence. Dasâ€™s groundbreaking formulation of the everyday provides a frame for understanding how both violence and healing might grow out of it. Drawing on notions of life and voice and the struggle to write oneâ€™s own narrative, the contributors provide rich ethnographies of what it is to inhabit a devastated world. Ethics as a form of attentiveness to the other, especially in the context of poverty, deprivation, and the corrosion of everyday life, appears in several of the essays. They take up the classic themes of kinship and obligation but give them entirely new meaning. Finally, anthropologyâ€™s affinities with the literary are reflected in a final set of essays that show how forms of knowing in art and in anthropology are related through work with painters, performance artists, and writers. 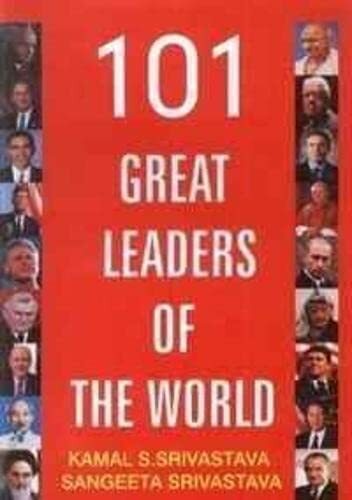 The book brings together case studies from different parts of the world, from Palestine, Lebanon, Chile, the US and India. It will be of interest not only to anthropologists and sociologists interested in comparative perspectives but also to artists, scholars in art, literary studies and philosophy. The guiding inspiration of this book is the attraction and distance that mark the relation between anthropology and philosophy. This theme is explored through encounters between individual anthropologists and particular regions of philosophy. Several of the most basic concepts of the disciplineâ€”including notions of ethics, politics, temporality, self and other, and the nature of human lifeâ€”are products of a dialogue, both implicit and explicit, between anthropology and philosophy. These philosophical undercurrents in anthropology also speak to the question of what it is to experience our being in a world marked by radical difference and otherness. In The Ground Between, twelve leading anthropologists offer intimate reflections on the influence of particular philosophers on their way of seeing the world, and on what ethnography has taught them about philosophy. Ethnographies of the mundane and the everyday raise fundamental issues that the contributors grapple with in both their lives and their thinking. With directness and honesty, they relate particular philosophers to matters such as how to respond to the suffering of the other, how concepts arise in the give and take of everyday life, and how to be attuned to the world through the senses. Their essays challenge the idea that philosophy is solely the province of professional philosophers, and suggest that certain modalities of being in the world might be construed as ways of doing philosophy. This book will be of interest to social scientists, philosophers and literary scholars. Some postcolonial theorists argue that the idea of a single system of belief known as â€œHinduismâ€� is a creation of nineteenth-century British imperialists. Andrew J. Nicholson introduces another perspective: although a unified Hindu identity is not as ancient as some Hindus claim, it has its roots in innovations within South Asian philosophy from the fourteenth to the seventeenth centuries. During this time, thinkers treated the philosophies of Vedanta, Samkhya, and Yoga, along with the worshippers of Visnu, Siva, and Sakti, as belonging to a single system of belief and practice. Instead of seeing such groups as separate and contradictory, they re-envisioned them as separate rivers leading to the ocean of Brahman, the ultimate reality. Drawing on the writings of philosophers from late medieval and early modern traditions, including Vijnanabhiksu, Madhava, and Madhusudana Sarasvati, Nicholson shows how influential thinkers portrayed Vedanta philosophy as the ultimate unifier of diverse belief systems. 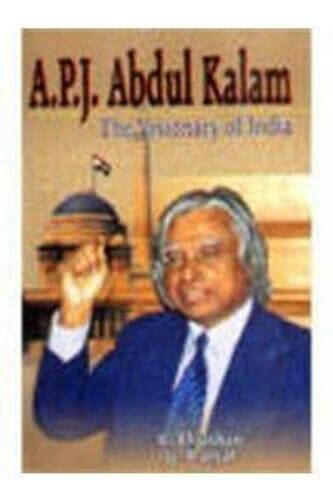 This project paved the way for the work of later Hindu reformers, such as Vivekananda, Radhakrishnan, and Gandhi, whose teachings promoted the notion that all world religions belong to a single spiritual unity. In his study, Nicholson also critiques the way in which Eurocentric concepts â€” like monism and dualism, idealism and realism, theism and atheism, and orthodoxy and heterodoxy â€” have come to dominate modern discourses on Indian philosophy. The great Indian epic brought to life in a masterly retelling by a consummate storyteller. Conceived, debated and written in the shadow of our new wartorn millennium, this work brings together an impressive and varied group of scholars across the disciplinary divide to rethink Gandhiâ€™s legacy and nonviolent ethics. What traction do peace and Gandhi have in these violent times when religious fundamentalisms of various kinds are competing with the arrogance and unilateralism of imperial capital? In what possible registers can Gandhian moral vernaculars-ahimsa, stayagraha, sarvodaya-address the ravages of our contemporary world? In rethinking Gandhiâ€™s relevance in the new world order, the contributors approach Gandhi, not purely as an â€˜Indianâ€™ figure, but as an activist-thinker whose transcultural nonviolent ethics of the everyday eminently translates across a range of political sites. 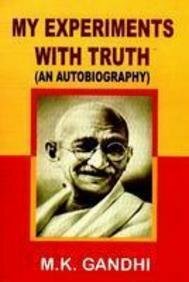 The volume also gives us vignettes of Gandhiâ€™s more eccentric aspects-his vegetarianism, his fasts and medical practice, and his experiments in communal living. 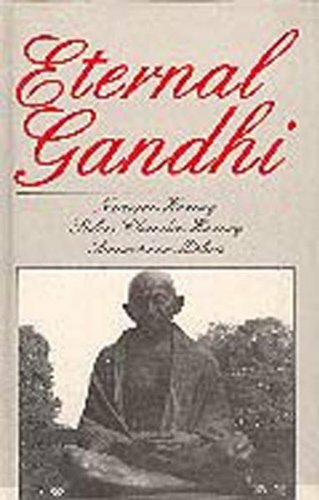 Without deifying Gandhi, the volume sensitively explores the sheer worldliness and embodied nature of Gandhiâ€™s thought, practice and legacy. 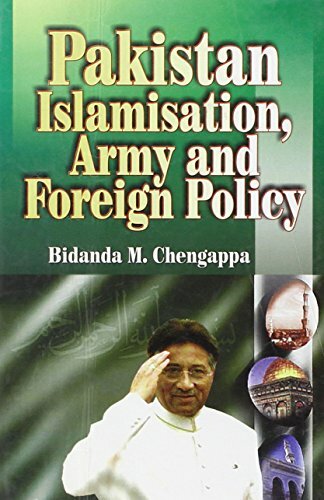 The book is a collection of papers presented at the 13th Triennial conference of the Association of Commonwealth Literature and Language Studies (ACLALS), held in 2004 in Hyderabad. The essays examine the swiftly changing connotations of nation in todayâ€™s global world. The contributors to the volume come from different parts of the world, and this makes the collection a truly cross-cultural attempt to re-examine nationalism and understand its complex negotiations in the present. The title Nation in Imagination points to the shaping influence of narratives in the shifting contours of the concept of nation. Why does philosophy give some people a headache, others a real buzz and yet others a feeling that it is subversive and dangerous? Why do a lot of people think philosophy is totally irrelevant? What is philosophy anyway? The ABCs of philosophy-easy to understand but never simplistic. Beginning with basic questions posed by the ancient Greeks: What is the world made of? What is man? What is knowledge? What is good and evil? this guide traces the development of these questions as the key to understanding how Western philosophy developed over the last 2,500 years. 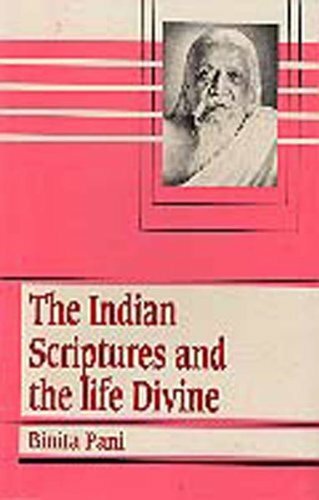 This book is a scholarly treatise on the subject of Indian philosophy and is also written by one of its foremost and most well-known proponents. Chaturvedi Badrinath shows that the Mahabharata is the most systematic inquiry into the human condition. Badrinath shows that the concerns of the Mahabharata are the concerns of everyday lifeâ€“â€“of dharma, artha, kama and moksha. 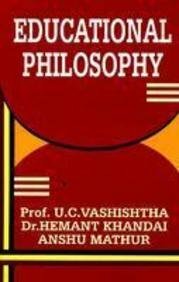 This book dispels several false claims about what is today known as â€˜Hinduismâ€™ to show us how individual liberty and knowledge, freedom, equality, and the celebration of love, friendship and relationships are integral to the philosophy of the Mahabharata, because they are integral to human life. What sets this book apart from others is that Badrinath has used more than 500 Sanskrit shlokas, which he has translated himself to illustrate his arguments. 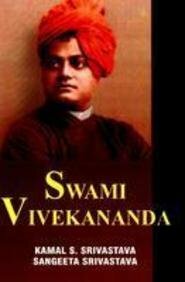 Secondly, his approach to Hindu philosophy is one based in humanism, rather than in divisive politics. 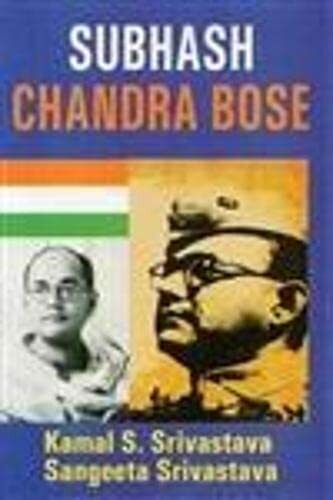 This work is written by one of the finest Indian minds of our times. Matilal took great care to avoid using technical language as the readers he wished to address are not limited to the circle of professional philosophers. 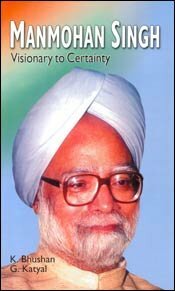 In this book, he tries to portray a belief that we can discover, the deep structure, so to say, of each great religious tradition, an awareness of the fundamental unity of man may emerge out of this discovery, which would be extremely valuable today, in fact, priceless in a world where we have frequent cases of Moradabad, Middle-East, and Northern Island. Needless to say, in our world today the agenda, so clearly articulated by Matilal remains relevant. The distinctive feature of this work is that the author was consciously motivated by contemporary historical experience; the frequent conflict between communities which have coalesed around different religious beliefs. The new imprint of Friedrich Max Muller's Classic work on the systems of Indian philosophy brings to the readers a summing up of author's forty years of research on the vedic, upanishadic and other philosphical texts of ancient India. 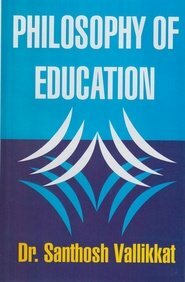 When he published this book, just about a year before his death, Max Muller was already famous as a scholar who presented classical Sanskrit works to the world in the series Sacred Books of the East.In this book he offers a survey of Indian Philosophy and a historical perspective on the different schools of the philosophy,which emerged in ancient India. This edition, abridged and greatly enriched with a scholarly introduction by Heeraman Tiwari, enables us to appreciate and evaluate a fundamental contribution to Indology by an acknowledged authority on the subject. This book examines a monastic institution â€“ the Madhava Matha of Udupi (Udipi) in Southern Karnataka â€“ as a site of the formation of religious opinion, of monastic training, and practice, and the transmission of knowledge. The author brings both sociological and textual perspectives to bear on his work. 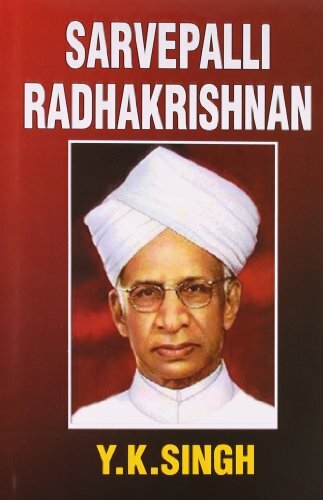 While anthropologists and sociologists have worked on cults, practices, categories of specialists and concepts, Vasudeva Raoâ€™s is one of the few books to focus on a monastic institution as the site of the formation of religious opinion in the context of monastic training and practice. Dr Raoâ€™s work provides an understanding of doxa or religious opinion in the context of the Madhva tradition of South India. In doing so, he focusses on priests rather than ascetics and thus contributes to the growing body of literature on the forms in which Brahminic ideology and practice take shape. In the process, Dr Rao also casts light on the complex ways in which a tradition perpetuates itself and deals with continuity and change. The study highlights the ways that texts are learned, remembered and transmitted to become a part of Indian religious experience. 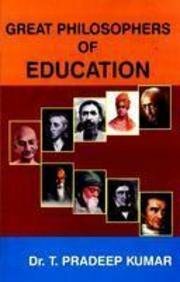 A significant contribution is also the ways in which the understanding of Madhva gurus and students reflect and are influenced by the general mood and the political discourse in the country. In one sense all philosophies attempt to analyse a small number of questions central to human life: the self, knowledge, the nature of the cosmos and reality, God or the divine. But while topics may be common, approaches have differed historically, and according to the traditions and times in which particular thinkers have worked. The Royal Institute of Philosophy's London Lecture series for 2012–13 brought together contributions from scholars expert in different traditions in order to explore continuities and discontinuities in world philosophy. In this volume there are papers on Indian thought, including Buddhist and Jain contributions, on Daoism, on modern Japanese approaches, on Jewish and Islamic thought, on stoicism, and on African philosophy, as well as on modern analytical philosophy, the so-called 'Continental' tradition and on the thought of Nietzsche. 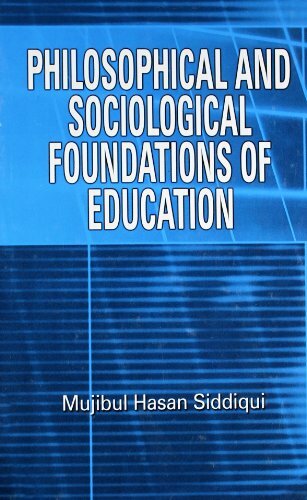 All important matters relating to educational philosophy that have bearing on human life and conduct have been taken into consideration quite exhaustively in this book. 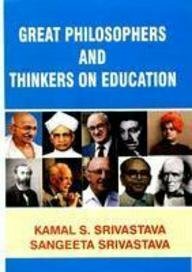 Care has also been taken to discuss each topic quite elaborately so that the reader can have a clearer view of each school of philosophy. Educational implications are highlighted in bold. 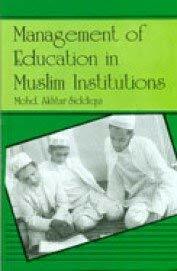 Each chapter has a set of questions which can possibly be asked in any examination relating to education. Most answers to these questions are implicit specifically within the emboldened text contained within each chapter. The book will be highly useful for the M.Ed. and B. Ed. students of any Indian University and also to them who wish to take any competitive examinations at a level where education is one of the papers to be examined. Time and the Science of the Soul in Early Modern Philosophy traces the complex and productive connections established between time and the soul from late Aristotelianism to the natural and political philosophy of Thomas Hobbes and René Descartes. 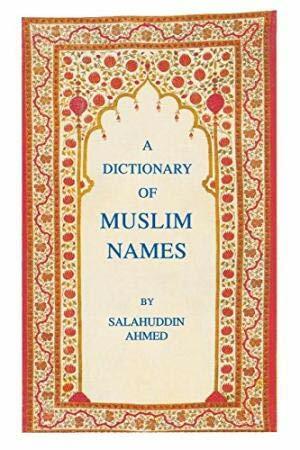 The present work provides a detailed account of the available data on ?Abd al-La? ?f al-Ba?d?d?’s biography, an outline of his philosophical thought, and a detailed analysis of his reworking of pre-Avicennian Greek and Arabic metaphysics. Islamic Studies by Forthcoming Title Religion, Philosophy & History Of Islam : USD ISBN: AnneSylvie Boisliveau (doctorat 2010 IREMAM / université AixMarseille) a étudié l'arabe et l'islam en France, en Egypte et en Syrie. Spécialiste du texte coranique et des débuts de l'islam, elle est maître de conférence à l'université de Groningue (PaysBas). Western Philosophy: Medieval & Renaissance, C 500 To C 1600 by Forthcoming Title Intellectual History : USD ISBN: Emily Kearns teaches Greek literature and language at St Hilda's. Her main area of research is Greek religion, but she has also written on Homer, Greek tragedy and Renaissance Latin. She is the author of The Heroes of Attica and editor (with Simon Price) of The Oxford Dictionary of Classical Myth and Religion, and is currently preparing a sourcebook on religion in archaic and classical Greece. In these fifty-three essays spanning over fifty years Abraham J. Malherbe illustrates how a critically informed appreciation of Graeco-Roman literary traditions such as Hellenistic moral philosophy and Middle Platonism can enrich our understanding of Paul, Athenagoras, and other early Christian writings. In Mysticism and Philosophy in al-Andalus, Michael Ebstein underscores the many links that connect the intellectual world of the Andalusi mystics Ibn Masarra (269/883-319/931) and Ibn al-?Arabi (560/1165-638/1240) to the Ism???l? tradition. Cabinets of Experimental Philosophy in Eighteenth-Century Europe explains how collections of instruments for demonstrating the principles of Newtonian science were offered successfully to a broad public audience and formed the basis of an intellectual, educational and cultural movement that spread across Europe. In Philosophy as Frustration: Happiness Found and Feigned from Greek Antiquity to Present Bruce Silver argues that traditional philosophical views of happiness, as well as recent psychological theories of happiness, are at odds with themselves and with important accounts of a truly happy life. History Of Western Philosophy by Available : USD ISBN: Karen Bardsley, PhD (McGill, 2004) Currently Assistant Professor of Philosophy, Morehead State University. Her research interests include philosophy of film, philosophy of mind, aesthetics, and ethics. In ethics, she has written on the rationality of feelings of gratitude toward nature. This volume, the twenty-eighnth year of published proceedings, contains papers and commentaries presented to the Boston Area Colloquium in Ancient Philosophy during academic year 2011-12. The papers treat thinkers ranging from early Greek cosmology, to several on Plato and one each on Aristotle and Plotinus. From the vantage point of comparative philosophy, this anthology explores how analytic and Continental approaches in the Western and other philosophical traditions can constructively engage each other and jointly contribute to the contemporary development of philosophy. 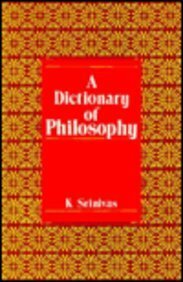 Philosophy by Available Philosophy : USD ISBN: Richard Tieszen, Ph.D. in Philosophy, Columbia University, is Professor of Philosophy at San Jose State University. He has published books, articles, and reviews in the areas of logic, phenomenology, philosophy of mathematics and philosophy of mind. Animals & Society by Available Philosophy : USD ISBN: Lindsay Hamilton, Ph.D (2009), Keele University, is Lecturer in Management at Keele University in the United Kingdom. She is currently a coeditor of the Sage journal, Ethnography and has published a range of ethnographic articles on work and organization. Oriental & Indian Philosophy by Available : USD ISBN: Nicolas Standaert is Professor of Sinology at the University of Leuven (Belgium), specialising in the cultural contacts between China and Europe in the seventeenth and eighteenth centuries. Western Philosophy: Medieval & Renaissance, C 500 To C 1600 by Available Intellectual History : USD ISBN: Franz Bierlaire, Professor Emeritus of the Université de Liège, taught modern history in Liège and history of the Christian churches at Free University Brussels. His research comprises history of humanism (Erasmus and erasmianism), history of the book, and history of education and childhood of the Renaissance period. He wrote studies on Erasmus, his pupils, his pedagogical methods, and the vicissitudes and use of his manuals on the education of children. Philosophy by Available Philosophy : USDGerman ISBN: Andrea Aldo Robiglio is Professor for Renaissance Philosophy at the KU Leuven. His major research interests are Dante, Thomas Aquinas and scholasticism in Renaissance Philosophy. From 2007 to 2009 he has been an Alexander von Humboldt fellow at the University of Freiburg. His publications include: L'impossibile volere: Tommaso d'Aquino, i tomisti e la volontà (Mailand 2002) and La sopravvivevanza e la gloria (Bologna 2008). Western Philosophy: Ancient, To C 500 by Available Religion, Philosophy & History Of Islam : USD ISBN: Contributions by: Dimitri Gutas, Cristina D'Ancona, Hans Daiber, Charles Burnett, Hidemi Takahashi, Jens Schmitt, Alexander Fidora, Yossef Schwartz, Steven Harvey, Resianne Fontaine, Heidrun Eichner, Richard Taylor, Amos Bertolacci, Jules Janssens, Aafke van Oppenraay, Silvia Donati, Valérie Cordonier, Carlos Steel, George Kiraz, Paul Tombeur. Cardinal and Archbishop of Canterbury Robert Kilwardby OP (c. 1215-1279) was a very important and influential thinker in his time, but he has not received the scholarly attention that he deserves. In this book we present the first study of all of his philosophical thinking from logic and grammar to metaphysics and ethics. Either as insider or as sensitive observer, Plutarch provides us with exceptional evidence to reconstruct the spiritual and intellectual atmosphere of the first centuries CE. This collection of articles sheds important light on the religious and philosophical discourse of Late Antiquity. Literary Studies: Classical, Early & Medieval by Available Philosophy : USDGreek (ancient) ISBN: Contributors: A.P. Bos, F. Becchi, Raúl Caballero, F. Brenk, G. Roskam, M. Meeusen, A. Jiménez, L. Roig Lanzillotta, A. Casanova, A. Pérez Jiménez, P. Volpe Cacciatore, D. Leao, R. Scannapieco, G. van Kooten, I. Muñoz Gallarte. Modern individuality is the not-so-secret protagonist of Hegel’s practical philosophy. In the framework of spirit, Hegel presents some basic features of the individual’s way of life, lifeworld, self-interpreation, and self-determination, which can also be timely in shaping our own personal and social identities. Minding Time: A Philosophical and Theoretical Approach to the Psychology of Time offers an innovative philosophical account of the most fundamental kinds of time representation. Drawing on biological clocks, it explains how representations of duration and simultaneity relate to the consciously experienced present moment. Philosophy by Available Philosophy : USD ISBN: Rolf Kühn, Ph. D., University of Fribourg/Br. in Germany, is director of the Research Centre for Modern French Philosophy of Religion. He has published many monographs concerning phenomenology, philosophy of religion and culture and has translated Maine de Biran and Michel Henry in German. In Toward a Dialectic of Philosophy and Organization revolutions and revolutionary movements of the nineteenth and twentieth centuries are examined through the lens of the Hegelian-Marxian dialectic(s) and Marx’s concept of revolutionary organization. This book presents a critical edition and translation of Salmon b. Yeroham’s Judaeo-Arabic commentary on Qohelet. The introduction situates the work in the history of Qohelet exegesis and discusses the primary themes: asceticism, eschatology, opposition to philosophy. Animals & Society by Available Philosophy : USD ISBN: Jo Hockenhull, Ph.D. (2010) in Equine Welfare, University of Liverpool, is a research assistant in the Animal Welfare and Behaviour Group at the University of Bristol School of Veterinary Sciences. This book studies medieval theories of angelology insofar as they made groundbreaking contributions to medieval philosophy. It centers on the period from Bonaventure to Ockham while also discussing some original positions by earlier thinkers. Western Philosophy: Ancient, To C 500 by Available Philosophy : USDGreek (ancient) ISBN: Contributors: David Charles, Christopher Rowe, M.M. McCabe, Jennifer Whiting, Friedemann Buddensiek, and Brad Inwood. Ethics & Moral Philosophy by Available Philosophy : USD ISBN: T. Brian Mooney Ph.D. (1993) in Philosophy, La Trobe University, is Associate Professor of Philosophy at Singapore Management University. 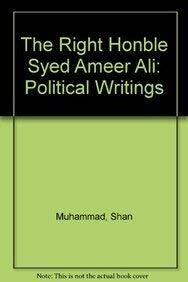 He is the author of 7 books and over 40 articles in Moral Philosophy, Ancient, Mediaeval and Contemporary Philosophy. Hermann Cohen was a Jewish-German thinker with a passion for philosophy. Two forms of national engagement influenced his philosophical system and his Jewish thought: a cultural-political 'Germanness' (Deutschtum) and a religious Judaism beyond the political. Western Philosophy, From C 1900 - by Available Jewish Studies : USD ISBN: William Templer is a widely published translator from German and is chief translator at the Simon Dubnow Institute for Jewish History and Culture, University of Leipzig. Bringing together an international team of historians of science and philosophy to discuss the fate of matter and form, this volume shows how disputes about matter and form spurred innovation as well as conservatism in early modern science and philosophy. 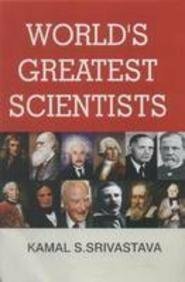 This unparalleled reference work offers general readers as well as scholars clearly written introductions to over seven hundred of the main religious and philosophical writings of Greco-Roman paganism, early Judaism, and formative Christianity from the period of Alexander the Great to Mohammed. Western Philosophy: Ancient, To C 500 by Available : USD ISBN: Contributors are fortyfive of the top scholars in North America, Europe, Australia, and Israel in the fields of ancient religion and philosophy. Western Philosophy: Ancient, To C 500 by Available Philosophy : USD ISBN: Contributors: Crystal Addey, Eugene Afonasin, Luc Brisson, John Dillon, Adrien Lecerf, Greg Shaw, Daniela Taormina, Claudia Maggi, Svetlana Mesyats, and John Finamore. This volume, the twenty-seventh year of published proceedings, contains papers and commentaries presented to the Boston Area Colloquium in Ancient Philosophy during academic year 2010-11. The papers treat thinkers ranging from Philolaus, Plato and Aristotle, to Plotinus. 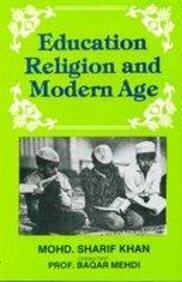 The chapters in this book offer an in-depth and profound overview of Hegel’s daring, many-faceted philosophical interpretations of the multifarious and dialectically interrelated, historical religions, including the Islam and the ‘revealed’ religion of Christianity (Catholicism and Protestantism). Philosophy by Available Philosophy : USD ISBN: Timo J.M. Slootweg, Ph.D. (2000) Erasmus University Rotterdam (The Netherlands) lectures in Philosophy of Law and Ethics at Leiden University. His publications are concerned with the relation between Law and Love; Knowledge and Faith; Existentialism and Personalism; Dialectical and Dialogical theology; Postmodernism. 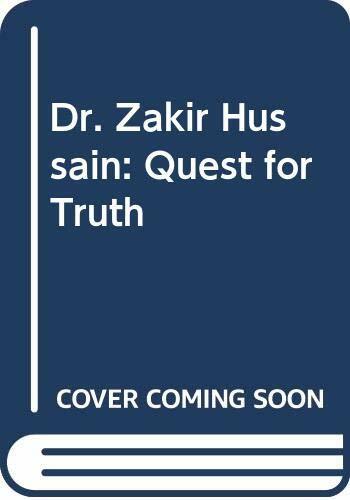 His thesis dealt with the Idea of Historical Consciousnees and Historicity in the Philosophies of Hegel, Heidegger and Derrida. Philosophy by Available Classical Studies : USDGreek (ancient) ISBN: Dimitri Gutas, PhD (1975) in Arabic and Islamic Studies, Yale University, is Professor of Arabic at Yale. He has published on the medieval GraecoArabic translation movement and its lexicography, the transmission of Greek philosophical texts into Arabic, and Arabic philosophy. Most recently he published the Greek text and medieval Arabic translation of Theophrastus, On First Principles (2010). The origin of transcendental thought is to be sought in medieval philosophy. This book provides for the first time a complete history of the doctrine of the transcendentals and shows its importance for the understanding of philosophy in the Middle Ages. Western Philosophy: Ancient, To C 500 by Available Philosophy : USDGreek (ancient) ISBN: Carolle MetryTresson, Dr. sc. religieuses (2009), EPHE à Paris, et Dr. ès lettres (Université de Fribourg, Suisse) en philosophie ancienne. Elle a particulièrement travaillé sur le Néoplatonisme tardif. Exploring Renaissance humanists’ debates on matter, life and the soul, this volume addresses the contribution of humanist culture to the evolution of early modern natural philosophy so as to shed light on the medical context of the Scientific Revolution. 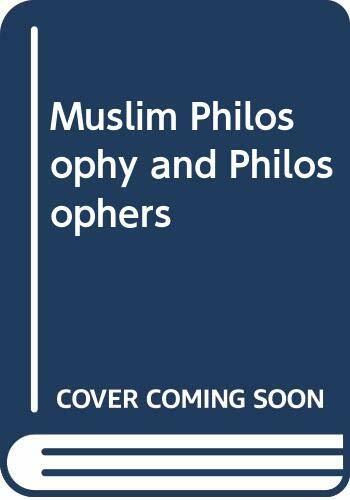 This collection of essays covers the classical heritage and Islamic culture, classical Arabic science and philosophy, and Muslim religious sciences, showing continuation of Greek and Persian thought as well as original Muslim contributions to the sciences, philosophy, religion, and culture of Islam. 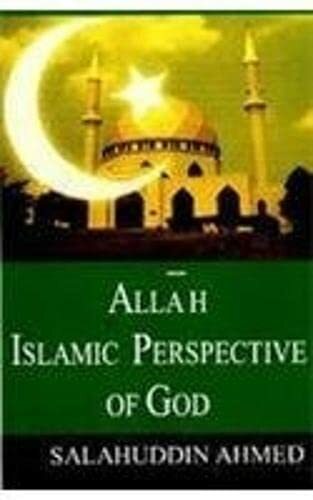 Islamic & Arabic Philosophy by Available Religion, Philosophy & History Of Islam : USD ISBN: David C. Reisman, Ph.D. (2001) in Arabic and Islamic Studies, Yale University, has published extensively on Islamic philosphy, in particular on Avicenna and his intellectual reception. Philosophy by Available Philosophy : USDGerman ISBN: László Tengelyiis Professor of Philosophy at the Bergische Universität Wuppertal in Germany. He has published extensively on phenomenology including The Wild Region in LifeHistory (Northwestern UP, 2004), Erfahrung und Ausdruck (Springer, 2007) and Neue Phänomenologie in Frankreich (Suhrkamp, 2011). Through close readings of excavated texts from Gu?diàn, this book provides a comprehensive analysis of the way in which meaning is produced in early Chinese philosophical texts. It is the first book on early China to cast light on the relationship between material conditions and ideas and shows how, in an evolving manuscript culture, texts were used by different social groups. This volume addresses the long-standing neglect of the category of labour in critical social theory and it presents a powerful case for a new paradigm based on the anthropological significance of work and its role in shaping social bonds. Social & Political Philosophy by Available Philosophy : USD ISBN: JeanPhilippe Deranty is Associate Professor of Philosophy at Macquarie University, Sydney. 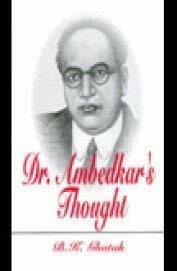 He has published extensively on critical social theory, including Beyond Communication. A Critical Study of Axel Honneth's Social Philosophy (Brill 2009). Western Philosophy: Ancient, To C 500 by Available Philosophy : USD ISBN: Andrei Timotin, docteur en histoire (EHESS, 2008) et en philosophie ancienne (EPHE, 2010), est chargé de recherches à l’Académie roumaine (Bucarest) et chercheur postdoctoral à l’École Pratique des Hautes Études (Paris). Il travaille actuellement sur les théories du rêve dans l’Antiquité tardive et à Byzance. Ethics and moral philosophy is an area of particular interest today. This book brings together some of the most important essays in this area. Topics include practical reason, particularism, moral realism, virtue ethics, and ethics and moral philosophy more generally. Philosophy Of Language by Available Language & Linguistics (l&l) : USD ISBN: Joseph Davis, Ph.D. (1992) in Linguistics, Columbia University, is Associate Professor of Linguistics in the School of Education, The City College of New York. He was coeditor of Advances in Functional Linguistics: Columbia School Beyond its Origins (John Benjamins, 2006). Aryeh Motzin’s extraordinary essays on the encounter between Jewish tradition and philosophy are collected in this volume. Motzkin examines how medieval Jewish thinkers understood Plato and Aristotle, and how these medieval thinkers were, in turn, understood by modern Jewish thinkers. 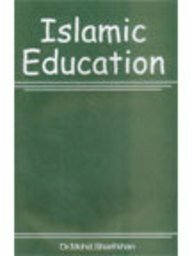 Islamic & Arabic Philosophy by Available Religion, Philosophy & History Of Islam : USDArabic ISBN: Jan Thiele forscht als Islamwissenschaftler an der Freien Universität Berlin. Er hat zur zayditischen Rezeption mu?tazilitischer Theologie publiziert. This collection of essays presents new work on the Renaissance philosopher Marsilio Ficino (1433-1499) which explores aspects of Ficino’s own thought and the sources which he used, and traces his influence on the philosophy of the sixteenth and seventeenth centuries. Western Philosophy: Ancient, To C 500 by Available Philosophy : USD ISBN: Contributors: Mauro Bonazzi, Otávio Bueno, Filip Grgi?, Diego Machuca, Stéphane Marchand, Timothy O'Keefe, Harald Thorsrud, and James Warren. Based on the author’s comprehensive knowledge of Chinese and Western legal philosophy, this book guides readers to an understanding of traditional Chinese legal thinking as well as the impact of Western rights theories on China’s contemporary politics and legal development. This volume, the twenty-sixth year of published proceedings, contains papers and commentaries presented to the Boston Area Colloquium in Ancient Philosophy during academic year 2009-10. The papers treat thinkers ranging from Parmenides, Plato and Aristotle, to Themistius. Western Philosophy: Ancient, To C 500 by Available Philosophy : USD ISBN: Contributors: Jacques Bailly, Jonathan Beere, Sara Brill, Alan Code, C. Wesley DeMarco, Daniel Devereux, John F. Finamore, Myrna Gabbe, S. Glenn, Owen Goldin, Hannah Hintze, Barbara Sattler, Julie K. Ward. A comprehensive, interdisciplinary account of the major thinkers and movements in modern Jewish thought, in the context of general philosophy and Jewish social-political historical developments. Volume 1 (of 5) covers the period from Spinoza through the Enlightenment. Animals & Society by Available Philosophy : USD ISBN: Tania Signal, D.Phil (2002) in Psychology, University of Waikato (NZ), is a Senior Lecturer at Central Queensland University. She has published widely around the psychological and social aspects of HumanAnimal relations. Philosophy by Available Philosophy : USD ISBN: Arto Laitinen is University Lecturer at University of Jyväskylä, Finland. His publications include Strong Evaluation without Moral Sources (2008), Dimensions of Personhood (2007, edited with Heikki Ikäheimo), Hegel on Action (2010, edited with Constantine Sandis) and a number of articles on mutual recognition. Philosophy by Available Philosophy : USD ISBN: Liu Yuedi Ph.D. in Philosophy. Associate Professor at Chinese Academy of Social Sciences. Delegate at large of International Association for Aesthetics, SecretaryGeneral of Chinese Society for Aesthetics. Author of The History of Analytic Aesthetics, he has published on culture, aesthetics and art. The Early Church by Available Philosophy : USD ISBN: Pascal MuellerJourdan, DrHabil en philosophie ancienne de l'Université de Fribourg, est Maître de conférences en philosophie ancienne à l'Université Catholique de l'Ouest (Angers, France). Il a publié de nombreuses études sur la philosophie tardoantique. Sa première étude (VCS, Brill, 2005) portait sur l'espace et le temps dans la Mystagogie de Maxime le Confesseur. Il a collaboré récemment à deux notices du RAC : Logik (2009) & Mystagogie (à paraître en 2011). The title of this Festschrift to Stephen Brown points to the understanding of medieval philosophy and theology in the longue durée of their traditions and discourses. The 35 contributions are disposed in five parts: Metaphysics and Natural Philosophy, Epistemology and Ethics, Philosophy and Theology, Theological Questions, Text and Context. Western Philosophy: Medieval & Renaissance, C 500 To C 1600 by Available Medieval Studies : USD ISBN: Andreas Speer, Ph.D. 1986 in Philosophy, University of Bonn, is Professor in Philosophy and Director of the ThomasInstitut at the University of Cologne. His main publications are in the field of the history of Medieval philosophy an theology, on natural philosophy, epistemology and in Medieval aesthetics. He is directing a couple of great research projects (Averroes latinus, Durandus a S. Porciano, etc.) and is the general editor of the Miscellanea Mediaevalia and the STGM. Drawing on a vast array of Chinese texts, Japanese scholarship, and critical philosophy, this book offers a radical rereading of Zhang Taiyan’s philosophy, highlighting the significance of Zhang’s ideas in the context of global capitalist modernity. 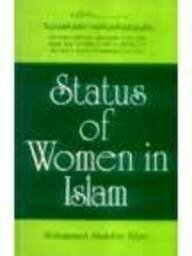 Bibliography of Islamic Philosophy was originally published as Volume 43 in the Handbook of Oriental Studies Series in 1999.